One hand on the wheel, one hand holding the pie, drive to the river. Bite the pie. Roughly half a pint of molten fat explodes out of said pie into my lap, and across the dashboard. Try not to crash the car and try to resist punching Ben for laughing uncontrollably. This was not a good Scotch Pie. Which is a shame as a good Scotch Pie (which for those who've never ventured North of The Border, is a spiced minced meat pie) can be just the thing you need to start a day's fishing, almost as good as a bacon-and-sausage roll really, and that's saying something. The visit to a good pie shop on the way to going fishing is always an excellent strategy. Even if you don't like hot meat-based pastry products, you can stock up on cake and crisps and fizzy pop. There's definitely something about heading off for a day in the outdoors, which seems to justify the consumption of otherwise unhealthy amounts of saturated fat and sugar. It's also definitely a life-stage thing. When I was younger, I was generally on a mission: All the kit would be inspected and prepared the night before; packed lunch made up and ready to go, leaving only a flask to be filled in the morning before heading out. Yes-sir, a total machine: hup! hup! hup! Now, I get up and stagger around collecting bits and pieces of tackle that I might need, and head off in the general direction of some fish. 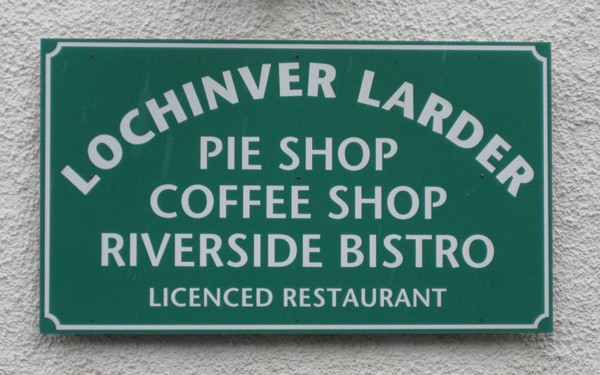 I usually remember the food side of things about half way there, generally when I spot an open pie shop. Occasionally a café and a full breakfast beckons, which if you're not careful can really slow the pace of the day. If they do a good pot of tea and the company's good it can actually slow things down to the extent that daylight will be waning by the time you decide to leave and the best thing to do is to cut your losses, go back in and get another cup of tea. Pubs are problematic. Halfway through a good day it might seem a pleasant idea to adjourn to the pub for a pie and a pint. However, this only works if it's a good pub; if you're in unfamiliar territory this is difficult to ascertain without actually leaving the river and entering the bar. If it's not a good pub you've just wasted an hour of good fishing time. In a good pub it's all too tempting to stray into extra pies or pints, or both: after which you may find hand-eye coordination more problematic, and a snooze under a tree may appeal more than the afternoon and evening rise. So the pie shop really is optimum for an efficient day's flyfishing. ...At least you'll be stationary, and if you do get an exploding pie, you'll have a hand free to punch Ben.